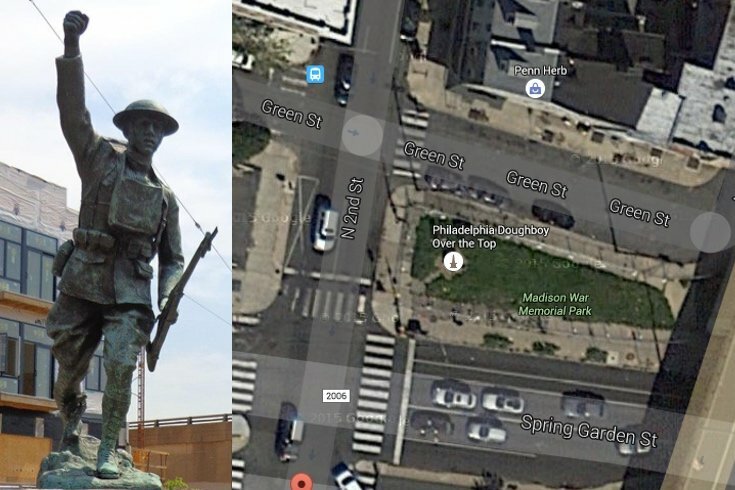 The Doughboy Statue located at 2nd and Spring Garden streets. Four years removed from an overhaul to its namesake park, the historic Doughboy Statue in Northern Liberties needs a makeover. The Northern Liberties Neighbors Association has launched a fundraising campaign to restore the bust at 2nd and Spring Garden streets, which pays tribute to local residents who served in the First World War. The statue was constructed in 1981 thanks to donations from the Northern Liberties community. In 2012, benches and shrubbery were added to the park — formerly known as Madison War Memorial Park — where the statue sits as a part of a renovation. The City of Philadelphia and Kreilick Conservation, LLC are working with the NLNA to spruce up the statue. Donation can be made through PayPal here.